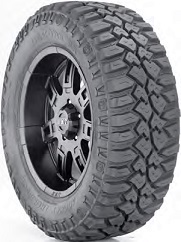 Unique "Hybrid" Design between a Light Truck All-Terrain and Light Truck Mud-Terrain tire to Provide the Grip Required for Weekend Adventures and a Smooth Ride on the Road. The Baja Claw Radial is built for anything you can throw at it. 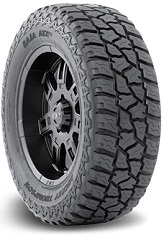 Get extreme traction and rugged off-road performance with the Claw's 23 degree tread pattern, large Sidebiters®, and tough puncture resistant sidewalls. Go where you want with the confidence that the Baja Claw Radial will pull you through. For High Mileage & Smooth Ride. , For Traction in Mud & Snow. , For Hydroplane Resistance. , For The Extreme Traction Off-Roader's Demand. Mud-Terrain Passenger Light Truck/SUV tire. 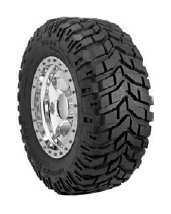 All-Purpose Mud-Terrain Light Truck tire with Aggressive Style and Performance and Great Street Manners too. Designed in cooperation with Racing Icon Brian Deegan. 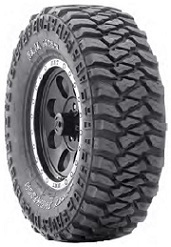 All-Terrain Radial Tire for Passenger SUV's, Light Trucks and Pick-ups.